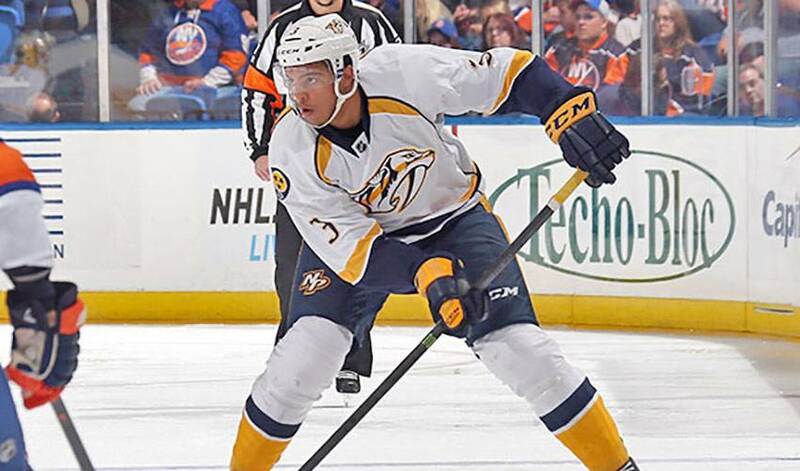 Seth Jones might be making his mark on a different playing surface than his father did, but it’s no stretch to say he’s a slam dunk for stardom. When it comes to career assists, former NBA power forward Ronald Jerome “Popeye” Jones leads his son, current NHL defenceman, Seth Jones, by a vast margin, 696-12, to be exact. It might be a stretch to suggest the 19-year-old will match or best that stat. What is clear, however, is that Seth, in his first year with the Nashville Predators, has all the tools to enjoy a long and prosperous NHL tenure. The imposing blueliner - he stands 6’4” and weighs in at 205 pounds – has obviously heeded his father’s words. Just over 40 games into his NHL life, Seth has been a workhorse on the Nashville defensive corps. As of January 6, he’s averaging 20:59 minutes of ice time per game. His season-high mark is 30:46. While some young athletes take time to show their true potential, Seth, who has three gold medals as a member of Team USA, is already turning heads. Confident with the puck, last year’s Western Hockey League top rookie has shown plenty of poise in year No. 1 of his NHL life. Early indications are that he already has. How does he think others view his game? With the NHL and NBA seasons in full swing, father and son are focused on their respective teams (Popeye is an assistant coach with the Eastern Conference-leading Indiana Pacers), but the two always find time to connect. And when they do talk, both can share stories of sporting success, one’s career still rolling along after transitioning from player to coach, the other’s full of promise as he continues to turn heads in the hockey world. “A lot of people have probably heard the story,” noted Seth. “I lived in Colorado and saw the Stanley Cup in 2001 when I was there. I knew I wanted to be a hockey player from there when I saw (Peter) Forsberg, (Ray) Bourque, guys like that lift it. And plenty of others, including a proud father, enjoy watching him thrive at his craft.